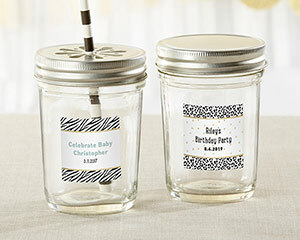 It's time for a baby shower and a safari-themed celebration is the perfect way to help soon-to-be parents get ready for the adventure of parenthood. 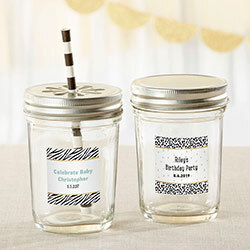 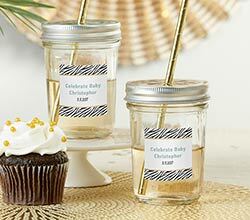 Versatile and fun, Kate Aspen's Personalized Safari Mason Jar favors are the perfect addition to the party, featuring your choice of two sticker designs—one featuring zebra-style stripes and the other featuring leopard-style stripes—these mason jar favors can be customized with up to three lines of text, including baby's name, a short message or the event date. 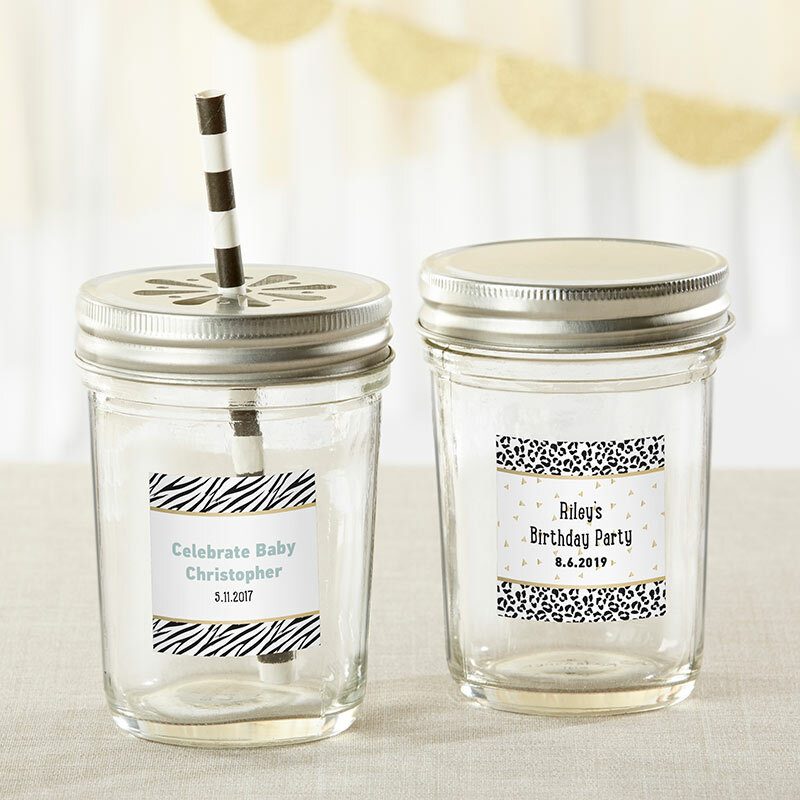 Perfect for serving signature drinks, filling with treats or using as centerpieces, Kate Aspen's mason jars also come with your choice of a daisy or solid lid.